With the edge of a tight silicon fuzz, and some custom filtering to warm it all up, The Your Face 70's is all that's loved about the 70's Fuzz Faces, with some added tweaks to smooth things over. We take two hand-matched BC108 silicon transistors selected for specific gains, super-quiet metal film resistors, and add smoothing capacitors to tame spiky highs and eliminate squealing at higher volumes, and that's only the start. Custom “You” knob functions as a low-cut to reduce some of the low-end squash, letting you dial things in just right for "you". This is a simple but fantastic mod that gives an incredible amount of versatility. I've seen this mod alone turn FF haters into instant fans. 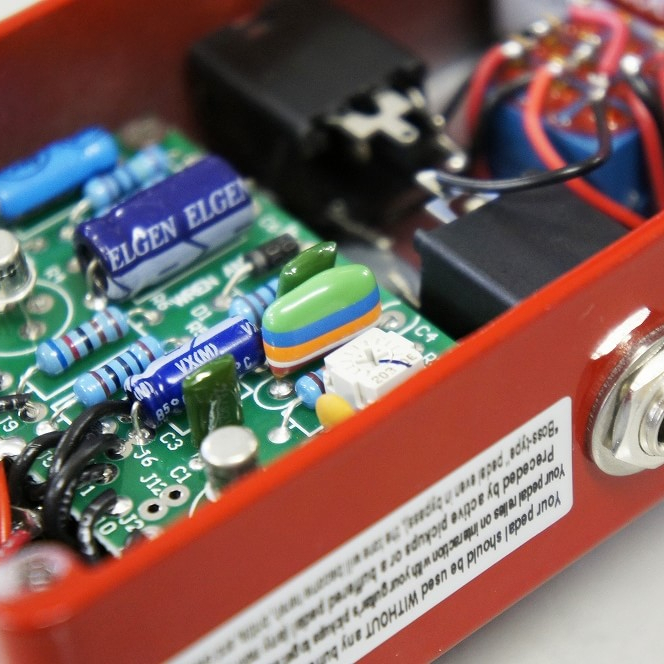 Truly an ultra-smooth high-gain silicon 70’s style fuzzer with all the right tweaks.